ME TOO, this is AWESOME!! ps I am updating my website and would LOVE to add some links to specific rescue sites... send me links and I will add them ! What a happy smiley girl! Thanks for making this permanent. Love it! Awe! I want all of them! Just wanted to drop a quick line and say that I really like the write-ups on the dogs. Some great info is provided not only about the dog's personality but also how they do in different situations (in the home, with strangers, stuff like that)....very well done! My last foster lives this saturday for his new wonderful home just in time to celebrate his birthday. I'm full here. Fostering is not possible. However, I would be willing to do home inspections, interviews, transport, etc. Let me know if I can be useful. If anyone needs fostering that can come to northern Vermont, I could take in one or two. 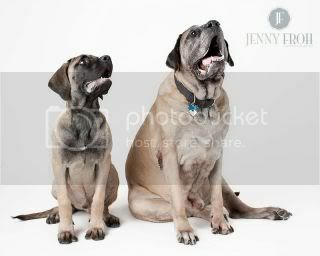 I don't believe we have any Mastiff Rescues up here. Awww, look at Daisy. What a sweetie, I'd love to have her here. 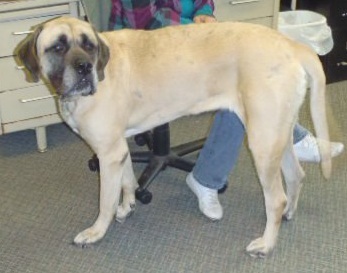 I just rescued a Mastiff from the Humane Society of Missouri that they found stray, with no tags, no microchip. Bella is the sweetest baby and on her way to big dog obedience classes tonight! I think she is about 18 months old, but she is very underweight. I am currently feeding her four cups of food in the morning and four at night and hoping she puts on some weight. She has already lost that gaunt stray look that she had when I adopted her. (By the way, that's Bella's picture after her first bath on the left. she looks JUST like my Grace! same colorings and same "deer legs" - at least that is what I call them. :-). love her! hope you are very happy together! also contact shirley, her info is at the bottom. go to assisted living. The sister travels from the east on a monthly basis to check on sister. She wants the dogs gone in any way. She is being more patient since rescue was contacted and we are making every effort to find a retirement home for them. are so bonded to each other. They still play like pups but spend alot of time sleeping. They will not do well with cats so small dogs is questionable. We went to visit them and they were going through my pockets looking for cookies. Temperament wise they were great and no sign of aggression. They were so strong and excited to see us that I didn't trust a walk on a leash. They wanted to drag me and they weigh more than me. you ought to know the joy of the one who is saved". The one in Garland was a stray and he was reclaimed by his owner over a week ago. Please do not crosspost this anymore. We are still getting tens of emails a day about him. Word got spread about him far and wide! But he is safe and sound with his owner who picked him up the next day once they got ahold of him. Honey Bunny was adopted today, perfect gift for her 1yr birthday today! That is sooo wonderful! I'm really, really happy for her and her new owners! Suzie in Lebanon, ME has been adopted. MRSA is Methicillin-resistant Staphylococcus aureus. I wasn't aware that dogs could get it. That poor, poor Nala! Oops!! Alice said msra, not mrsa. I just saw the letters and assumed. Sorry! Not a problem. But I'd still like to learn what it means. Typo sorry.Yes MRSA. She is healing well, better then vet has seen before. Totally a sweetheart. I am from WV. That's so sad, she's such a beautiful girl! I have only seen 3 EM's here, and they don't represent the breed by any means. They have their ears cropped, and they just don't look healthy to me. 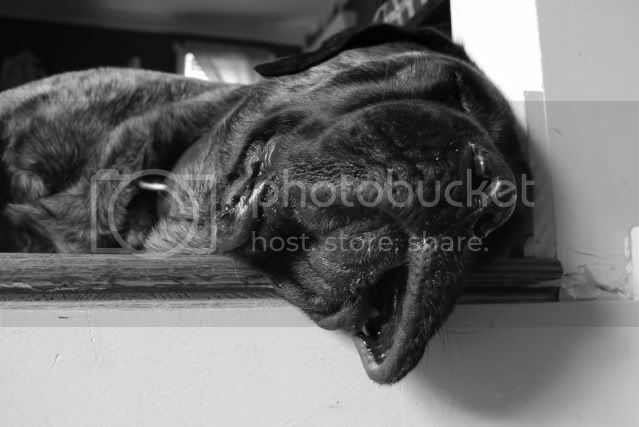 I had to actually stop and look to see if was actually a Mastiff. Animals and people share so many things in common, so I'm sure if someone had it and the dog had an open wound, it made it very easy to transmit. We share a lot of the same medications also. I'm glad she's doing so well, looks like she is healing up nicely! I bet that was really painful for her! I have taken a little break from the forum but browse once in awhile still. Just wanted to make a quick comment about MRSA in dogs...It can really be a nightmare. I am so relieved to hear that this stray has been healing and responding well to the medications and treatments. It may be due to the age of the dog. Her immune system may still be intact and able to fight. My Chloe wasn't so lucky. That is how I know so much about MRSA. Once we realized what Chloe had, it was passed the point of healing. She was already 11 1/2 years old, so I don't think her immune system had it in it. Her vet wasn't extremely optimistic about her prognosis, but gave me options to try if I wanted to go that route. We chose treatment. It was extremely expensive for the specific antibiotics that is the only one know to help for dogs. Giving that to a 150 dog with no prescription plan was pricey, but my thoughts were, if I could cut this thing off at the pass, she may have a chance. We took her for special baths at the vets office, she was shaved around all of her many spots all over her body. She looked like a Dalmatian. I could tell after a little while, she just wasn't getting any better. I used the rinses and ointments and warm compresses and whatever else the vet said I could try to get her better. She became lethargic (more than the normal Mastiff) and lost her appetite, so I cooked her meals and treated her to her favorite snack of all time, bananas. Once she was turning her head when I had a banana in front of her and she refused to stand up to go and get water or go outside to the bathroom...I knew she just couldn't fight anymore. The way she looked into my eyes, I felt like she spoke to me and I understood that she tried as hard as she could to fight this, for me. She didn't want to disappoint me, but she just couldn't do it anymore. She let me know that she would be ok and that I had to let her go. It was the hardest day ever, but we were out of options and the only medication that had a chance of helping her wasn't working and was causing her more problems. He systems were beginning to shut down and I loved her too much to let her suffer, just so she could stay her a day or two more with me. MRSA is a scary thing to be infected with. There is a lot of uncertainty with it in humans, but in dogs, so much less is known. 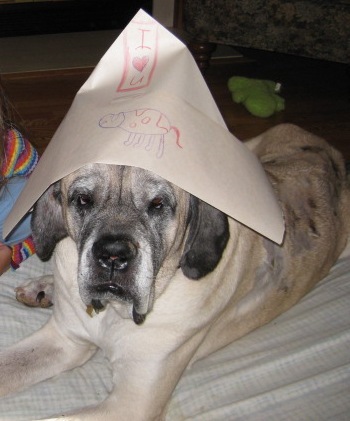 It is such great news for me to hear another dog (Mastiff, none the less) is healing from it. That girl must have more business to take care of here on earth. She must have a bigger purpose and her job is not done yet. I hope whoever gets her or has her understands what a gift they were given with her surviving this. willow looks alot like my boy Duece. Nala is now apart of my crew so we can take her off "Rescue Dogs"
Chloe and Brutus will be leaving for their new home on Sunday. Thank goodness they are save. So they can be taken off also. I will be removing these dogs they have homes pending from Southern States rescue!! Emma Lou, Rose, Tonka, Marmaduke, and Lexi!! 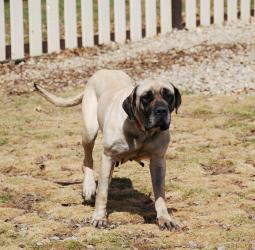 Macy is currently at the Elyria, Ohio dog shelter (near Cleveland.) She was surrendered to the shelter when her owner passed away from cancer. She prefers women to men, is good with kids and cats but not dogs. 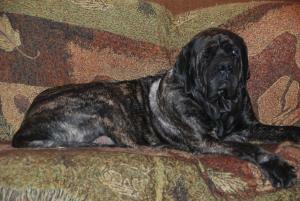 Macy is five yrs old, housebroken and very obedient. She would do best in a home where someone is home a lot. She has allergies and needs injections for them. To set up an appointment to meet Macy, please call (440)322-4321. Ask for Denise or Greg Willey. Hudson has been deleted, yay!!!!!!!! 2 in alabama 2 in georgia, 1 in North carolina, 2 in south carolina, 1 in mississippi, and 7 in virginia!!!! Diesel in VA, oh my if I didn't have 4 already! The post for Hud is Hudson when with FORM, it should be removed. Daisy is adoption pending. Susan, you could visit Richard, find out more about him. At the very least you would brighten this boys day with the extra attention The chance of a 9 year old mastiff getting a home is slim and it is terrible he lives these last years the way he does. Maybe a foster home for the shelter?